Come out and see one of L.A.'s better bands 'MAGIC MIRROR' play Friday night at Temporary Spaces. Think Bad Seeds, Spiritualized, 16 Horsepower and The Pogues.....yep, it's that rocking! 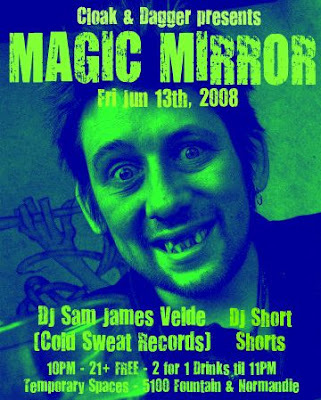 DJ Short Shorts and I will be playing the jams before and after all night long!